Want your Lexington home to look like those home design website images you drool over? Of course you do! Problem is, your budget may not match your design aspirations. Fear not! Making your home look high-end isn’t always about spending tons of cash. Next step: Tackle any stuff that piles up—toys (if you have kids), shoes by the door, mail on the dining table. At the very least, find places for your stuff to live in a more organized way; an upgraded closet with beautifully sorted nooks and crannies looks luxurious. You may not have time for intensive cleaning on a weekly basis, but a once- or twice-yearly deep clean is an easy way to make your home look far more luxurious. Go through your home and search for overlooked areas that have become dirty and downright gross. You’ll want to pay special attention to the grouting, says designer Young Huh. The process is simple and inexpensive. Try steam cleaning wood floors for an immediate lift to the finish. 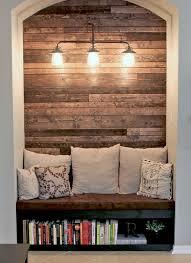 Think of where you might have a reading nook, sofas and chairs for company, and a television. Visually differentiate among the areas by using different kinds of lighting: Add a table lamp beside your cozy reading chair and sconces behind your couch for conversation. 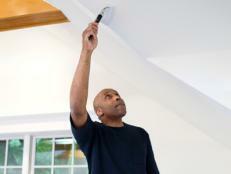 Consider a dimmer for overhead lights. Does your home feel a little meh—and you’re not sure how to change it? Try vignettes—combine decor items (e.g., vases, frames, and objects) that add visual interest to an otherwise bland area—perhaps a shelf or console table. Another way to go: Grouping together multiples of the same objects (e.g., glass vases in the same color) is an instant update. Decorators often use odd numbers because they are said to be more appealing. With these simple tips, you can make your Lexington Home even more appealing!